Your comprehensive guide to color mixing, including hands-on projects that illustrate a variety of color elements and techniques. 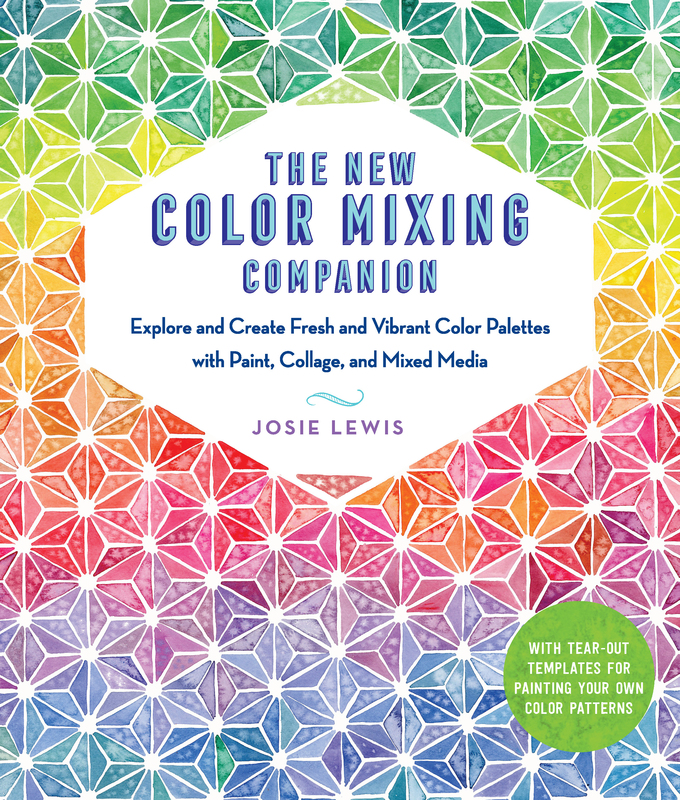 This comprehensive guide starts with a crash course in essential terminology and visual vocabulary, then shows you how to go beyond the wheel and basic theory with hands-on projects that illustrate and illuminate a variety of color elements and techniques. The materials used - including watercolor and acrylic paints, and found or purchased collage papers - are accessible, inexpensive, and readily available. Plus, this art guide includes easy-to-use templates featured in many of the projects; their modern geometric layouts yield stunning color arrangements. 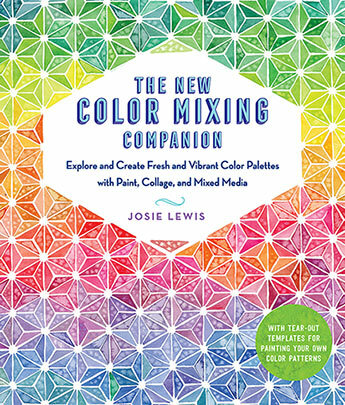 Artist Josie Lewis, whose Instagram account@josielewisart has more than 260,000 followers, has taught college-level painting, drawing, art appreciation, and two-dimensional design, and also regularly teaches workshops, leads creative retreats, and hosts exhibitions in her Minneapolis studio. She has been featured on DesignSponge, Insider, High Times, and by many other social media influencers. Josie's work has also been exhibited widely throughout the US and can be found in the collections of many private and public institutions, including Target Corporation, General Mills, University of Arizona at Phoenix and Flagstaff, and University of Minnesota. Her current work, which explores the interaction of material, pattern, repetition, and color, spans many mediums, including sculpture, painting, mixed media, and film. A two-time grant recipient of the Minnesota State Arts Board, Josie has a BA from Bethel College in St. Paul, Minnesota, and an MFA from the University of Minnesota. Originally from the North Shore of Lake Superior in Minnesota, she lives in the Twin Cities. See more of her work at josielewis.com.